If you're looking for an easy way to enlarge your circle of friends or relax after work that doesn't involve window shopping along Pitt Street Mall, then singing might just be the way to go. Singing has been proven to make people happier, healthier and more creative and Creativity Australia's acclaimed 'With One Voice' programme taps into the power of community singing to bring people together. Creativity Australia is a charity and social enterprise and its weekly 'With One Voice' programme has been inspiring and uniting people from 40 nationalities irregardless of age, race, language, religion, disability and disadvantage for more than 5 years. Through singing, its participants have been able to make new friends, improve their self-esteem, find mentors, achieve well-being and pick up new skills. The best thing about the programme is there is one right in the heart of Sydney. 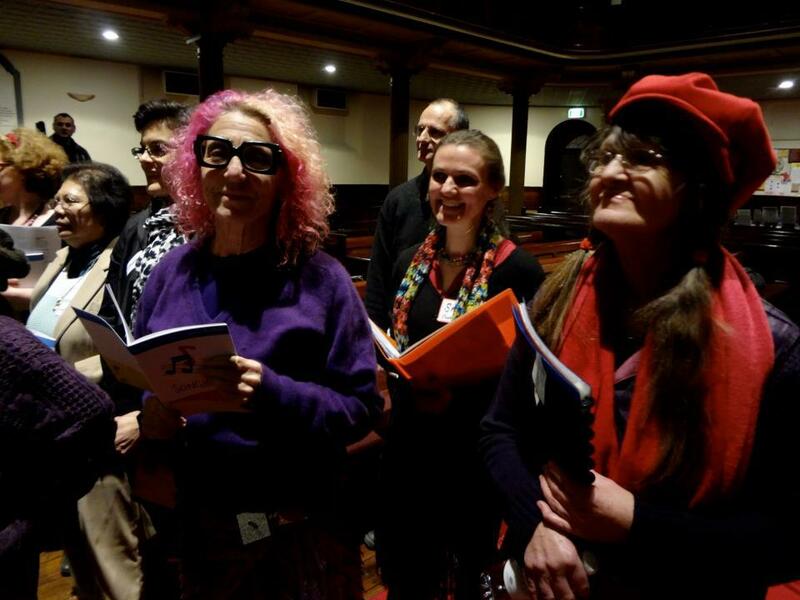 Located in the Pitt Street Uniting Church, everyone is welcomed to join the weekly 'Sydney Sings' session on Tuesday between 5.30pm to 6.45pm. 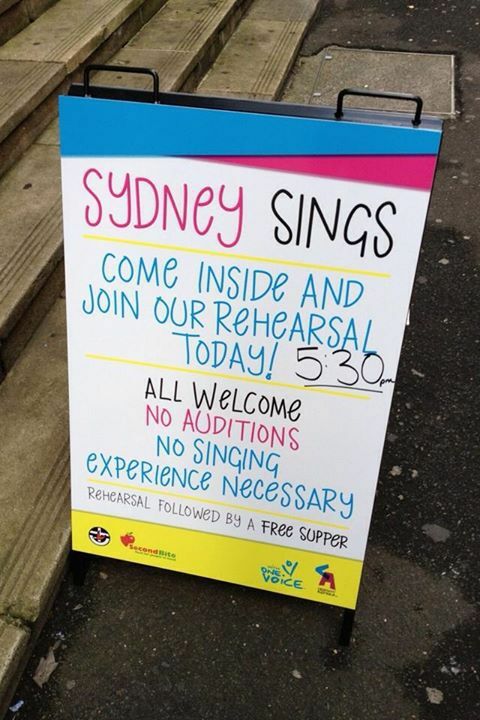 Unlike a traditional choir, there are no auditions and singing experience required. Simply turn up and join over 100 other friendly folks in a big singing party. You will enjoy a wide repertoire of music from Broadway to 60s folks music lead by professional conductor Robert Teicher. The fun atmosphere brings a diverse group of people together who share stories and sing 'With One Voice'. After an evening of joyful sing along, there's even FREE supper provided by OzHarvest. So what are you waiting for? Just turn up for the first time and check out the group for FREE. If you decide to join the choir, participation is by tax-deductible donation. For more information, contact the organisers at Email: enquiries@cal.org.au. Why? 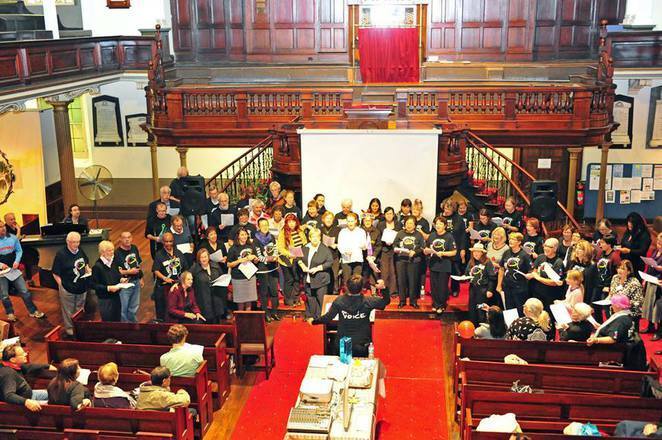 Where can you find community singing in the heart of Sydney city?